Worried that your social media distribution won’t achieve your content marketing goals? Yes–BuzzSumo’s 2018 research found that, on average, articles attract a measly 4 social media shares, down 50% from in 2015. But don’t lose sleep over selecting the best social media distribution channels because we’ve got you covered! While social media distribution requires people, tools and budget, even tight-fisted marketers can improve results with these 5 steps. Waiting until you hit “publish” to plan your social media distribution is heartbreaking. Because, after spending hours crafting quality content, you shortchange its reach. Without time to assess your distribution options, your content will remain invisible to many potential readers. So don’t postpone selecting the best social media distribution channels. Although organic social media reach is down, you can still use different networks to increase traffic, engagement and followers. Consistently post social media content on the same schedule for each platform to build audience expectations. BUT the scheduling time varies by social media network. Discover your audience’s habits on each platform by tracking your results. Re-promote your best performing content like Dustin Stout of Social Warfare. Who are your social media readers? Specifically discover which platforms they frequent and when? Why do they use each network? 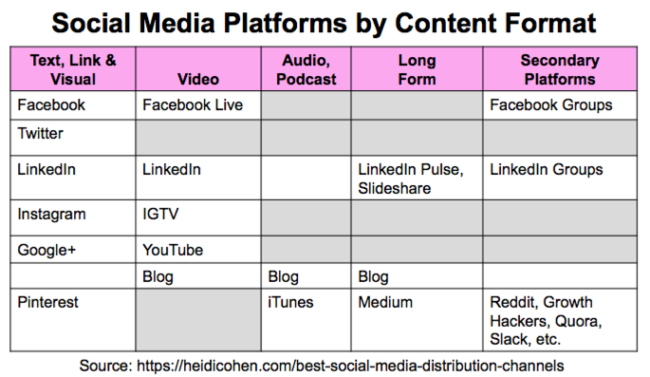 By platform, what content do they seek and why do they want or need it? And, who do they follow on social media and who influences their decisions? When and where do they check social media? Specially determine their physical location and device. Test a variety of platforms to determine which ones yield the best results for your business! Consistently showing up, participating and sharing matters. You don’t need to use every aspect of a specific social media site. The major players offer a variety of content and participation models. Use your initial email responder to gather information about readers’ social media habits. Respond to reader emails to get deeper information. Text, links and image: Facebook, LinkedIn, Twitter, Instagram, Google+ and Pinterest. Secondary platforms: Reddit, HackerGrowth, LinkedIn Groups, Facebook Groups, Slack, Quora and others. Crank out at least 25 titles before choosing the best. Also try CoSchedule’s Headline Analyzer. 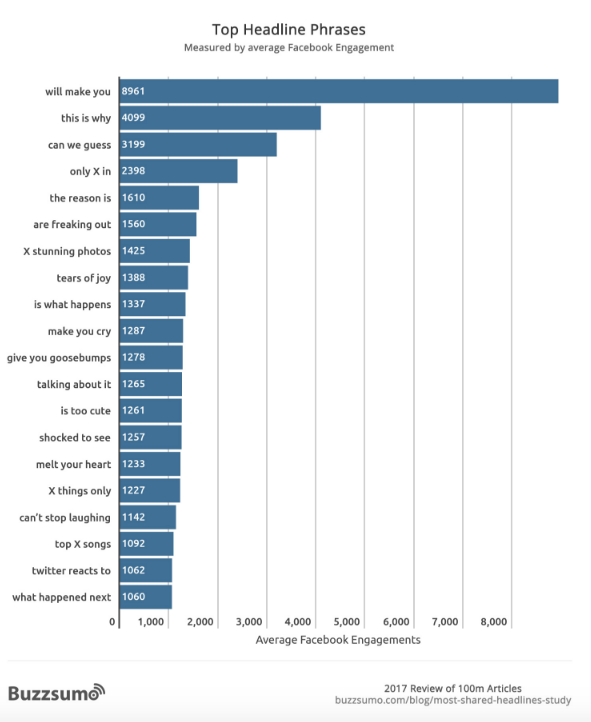 Further, tap into the power of these Top 25 Headline Phrases (via BuzzSumo). Create attention-getting visuals to pull readers in and tailor them to each specific platform. Size matters! Use Hootsuite’s Guide to ensure that your images are picture perfect. Use tools like Canva and PikMonkey to create images, even if you’re not creative! Take care when using “free” stock photos or it can cost you a lot! Make it easy for readers to share your content. Incorporate a sharing tool. Select the buttons that apply to your business. Avoid using too many or readers will leave without sharing! Use Click-to-Tweet for quotes and data points. Make it a no-brainer for readers. My readers love them. Add “Pin It” buttons. For share-worthy images, include your logo and article URL. Help people can find the original source. Optimize social media profiles (business and personal). Post a professional photograph, add a bio with keywords and hashtags, and provide a call-to-action (CTA). Include contact information, URL, and social media hours. Where appropriate optimize employees’ profiles. 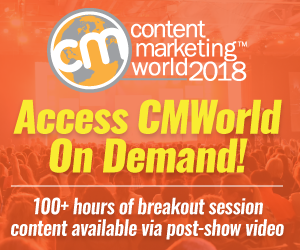 In this content amplification phase give your content rocket fuel by tapping into the power of secondary social media platforms and other groups. 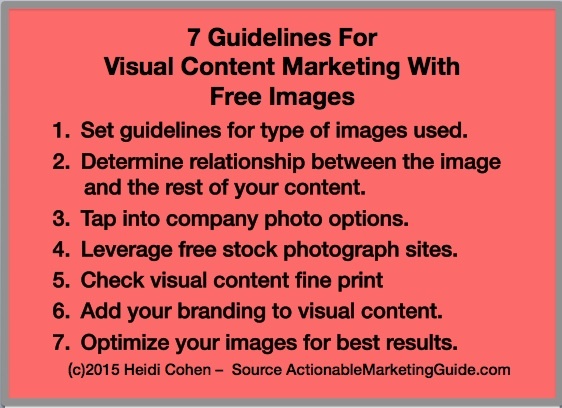 Use this content delivery to determine which headlines and images work best on each platform. Include tracking codes to simplify analytic activities. For mega-content, invest up to $50 in Facebook ads to get quick feedback on the best headlines and images. Schedule time to engage with people who comment and share your content. For his Crowd Pleaser Content, Mike Allton of the Social Media Hat fuels and expands the social media conversation. Reach out to content contributors via email. Alert them to its publication and provide pre-formatted shares. Batch create social media content to save time. Thank people who share your content. It makes them feel good and encourages them to share your content again. Further engaging with them gives their followers another chance to join the conversation. To keep your content visible on social media requires on-going distribution. Continually change your social media content format and presentation to prevent your shares from becoming wallpaper to your target audience. Text, links and image sharing:Promote throughout the distribution process. Long form content: Use after 2-4 weeks on the original publication platform. Use social media scheduling tools to save time. Options include Buffer, CoSchedule, AgoraPulse and Hootsuite. BUT don’t use these tools as a substitute for being present in real time. Monitor and respond to social media mentions. Among the tools to use are Brand 24. Cross-platform promotion exposes your content to different audiences on other platforms. It grows your audience and extends the life of existing content at no cost! Most commonly, marketers cross-promote content by republishing long form content on Medium and/or LinkedIn Pulse. Since these platform audiences differ, you can use both options. But wait at least 2 weeks post-initial publication to ensure that Google has crawled it. Use a new image to attract attention. 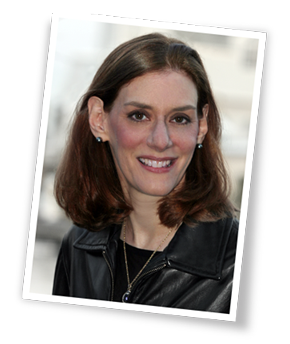 Include a link stating: “This post was originally published on [DATE] on [URL of original post. ]” This directs Google to the original source to avoid duplicate content. Keep a portion of your content exclusive to your site. 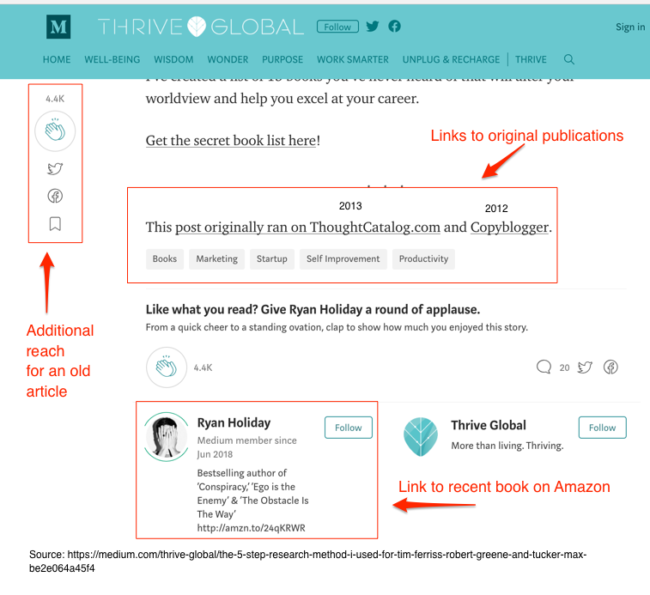 This gives readers a reason to visit your site via internal links. Madalyn Sklar moves her #TwitterSmarter chat discussion every Thursday at 1pm ET to Facebook Live for the last 10 minutes. Sklar continues her conversation with the guest via livestream while attendees use the comment section. As a result, she builds an engaged audience on a second platform while creating user-generated video content. Here’s Sklar’s “After Chat” with Vincenzo Landino on Facebook Live. Further, the After Chat remains visible on Facebook as video content. #TwitterSmarter "after" chat with Madalyn Sklar and Vincenzo M Landino. Promote your best content on longer tail social media platforms. Don’t assume your audience saw them! Let contributors know that you republished content. Use email outreach. Your personal touch helps. When it comes to the best social media distribution channels, one-size-fits-all doesn’t work. To increase social media reach, use a combination of platforms. 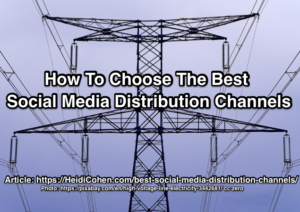 Further, change your social media presentation for each distribution iteration and platform. Even better, you’ll save resources! Because modifying social media content uses less time and budget than brand-spanking new content. Tags AgoraPulse, Brand24, Buffer, BuzzSumo, CoSchedule, Dustin Stout, Facebook, Hootsuite, Madalyn Sklar, Mike Allton, Nathan Ellering, Ryan Holiday, Vincenzo Landino. Bookmark the permalink. ← Top Marketing Books: Experts Recommend the Best!